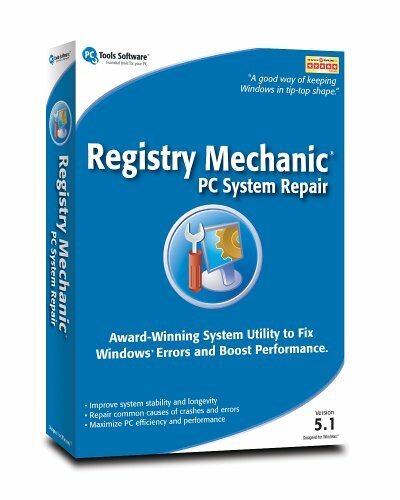 Rich Tehrani recently wrote about his experience with Registry Mechanic, and how it helped speed up a crawling laptop. I've also given Registry Mechanic a try, and really like it's elegant interface and appreciate the rapid speed of the scan it performs. One relatively minor issue with the demo version of the program is that although it'll reveal all kinds of errors, it will only repair a subset of them (how they determine which ones to repair and which to leave alone is a mystery to me.) Anyway, you need to register and payup to be able to clean all the problems the program finds. I used Registry Mechanic on a couple of old Windows 98 machines (I keep some old but functioning machines around to use as servers and special purpose units -- and to serve as emergency backups just in case.) The software found 896 errors on one desktop, and 643 on an old laptop -- and cleaned up about a third of what it found. The laptop did behave a bit better afterwards -- a bit faster on bootup and a little more responsive with Web surfing -- but only slightly. The desktop fared worse: it now keeps running the Windows Registry Rebuild application before it'll boot -- adding a good ten minutes to its boot up time. Once it completes the rebuild, it loads fine and runs a bit better. But still, it's now basically junk if I can't find a way to fix this new problem -- aside from restoring the old, uncleaned registry file. On the Windows XP machines I've tried it on, I couldn't really detect any noticeable improvements, although running it didn't create any new problems. Bottom line -- Registry Optimizer software can deliver some benefits, but it can also cause new problems, so before you jump in and start using them, first spend a little time learning how they work and how to distinguish between the different types of errors the programs find -- there may be some fixes you should in fact pass on. BTW, there's another registry optimizer product I was told about called WinASO that apparently performs similar scanning and removal functions as Registry Mechanic, but also includes a more comprehensive "System Mechanic" feature set that helps you delete temp files, clean caches, and perform housekeeping chores all from a single check-box screen. The program looks a little rough around the edges -- there are a bunch of typos throughout probably due to an "English as a Second Language" programming staff -- but the product still seems solid and capable.